Marshmallows ~ I Can Do That! 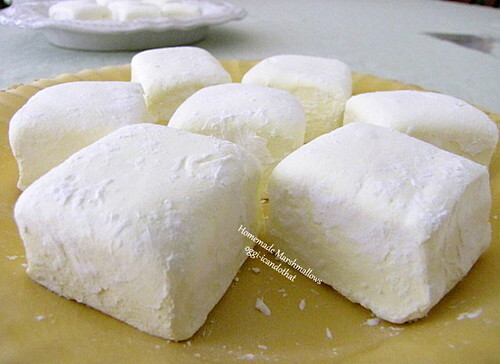 I made marshmallows yesterday and today using a recipe that doesn't have egg whites. I have a carton of raspberries, pureed them and used it instead of water to soften the gelatin powder. 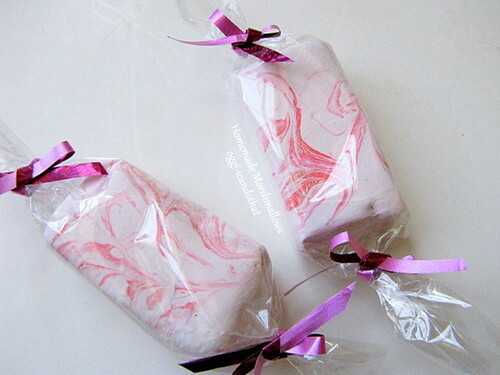 The fruit is naturally tart and cuts the sweetness of these melt-in-your-mouth marshmallows. These homemade candies are superior to the one from the stores. They're so light and fluffy and I was so pleased with the result I made a second batch using fresh lemon juice because I love Super Lemon, the pucker-inducing deliciously sour and sweet hard candies from Japan. 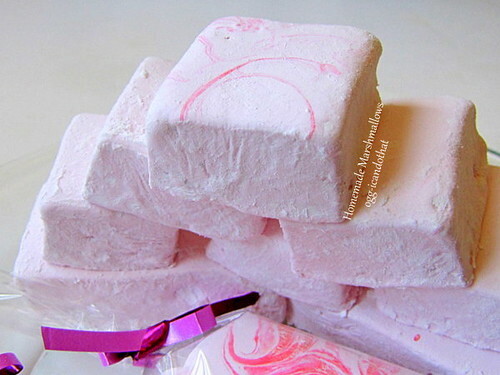 The marshmallows are sour enough but I'd like to coat it with the super sour powder similar to the hard candy's if I can figure out where to buy it. Line an 8 x 8-inch square pan with parchment paper. 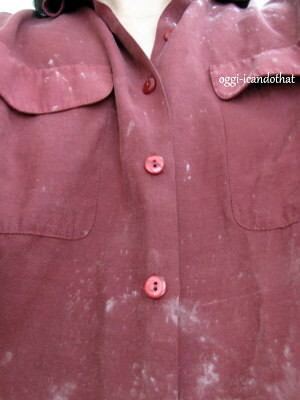 Brush with a very thin layer of vegetable oil and sprinkle generously with powdered sugar. In the mixing bowl of a stand mixer with the whisk attachment, combine water and vanilla extract. Sprinkle the gelatin and leave to soften. In a heavy saucepan, combine sugar, salt, corn syrup and water. Heat to boiling while stirring until sugar has dissolved. Clip a candy thermometer and continue to cook on medium heat without stirring until it reaches 240° F.
With the mixer at low speed, carefully pour the hot syrup slowly down the side of the bowl into the gelatin mixture. When the mixture has slightly thickened, increase the speed to high and whip until mixture is fluffy and stiff, about 10 minutes, adding food dye if using. Pour marshmallow into the parchment lined pan and smooth with a lightly oiled rubber scraper if necessary. Leave uncovered at room temperature for 10-12 hours or in the refrigerator for 3 hours until set. Mix equal parts cornstarch and powdered sugar and sprinkle over the marshmallows. Turn the marshmallow onto a cutting board generously sprinkled with powdered sugar and starch mixture, peel off paper and dust with more of the powder mixture. Cut into desired size and dredge all sides again in the powder mixture. Shake off excess powder. Great recipe. I have yet to successfully make marshmallows. I don't know why but mine always fail. Your homemade marshmallows look very professional!